The Juno spacecraft is not the first to visit Jupiter – this honour goes to the Pioneer 10 spacecraft back in December of 1973. The planet has been visited by a total of eight spacecraft prior to the arrival of Juno in July of 2016. Out of these eight, only the Galileo spacecraft entered orbit, with the remaining being flybys, whereby the spacecraft swings by the planet at a long distance. The closest one of these ever got to Jupiter was Pioneer 11, at about 34,000 km. Juno’s science orbits will take it as close as 4,300 km above the planet, about ten times closer than we have ever been before. It is these very tight orbits, in combination with highly specialised onboard instruments, that will enable Juno to investigate Jupiter’s core, atmosphere, and magnetic field in unprecedented detail. The only other spacecraft to enter orbit at Jupiter is the Galileo spacecraft. It was launched in 1989 from the Space Shuttle, and arrived at Jupiter in 1995. It was intended for the spacecraft to be launched some 4 years earlier, but due to the Challenger Space Shuttle disaster in 1986, the craft was put in storage in California, awaiting a new launch opportunity. Soon after the launch, the main antenna failed to deploy properly, and NASA investigations pointed to the decay of lubricants as the likely culprit, caused by the storage and ground-transportation of the spacecraft. This meant that the main means of communication with the Earth was broken, but luckily a low-power antenna was also mounted on the spacecraft. However, due to it’s low power the initial data transfer rates were incredibly low, about 20 byte per second. Compare that to the 40,000 bytes per second that a dialup modem can achieve, or the 20,000,000 bytes per second that modern broadband provides! This low data transfer rate meant that not all of the observations that the Galileo spacecraft took could be transferred to the scientists at Earth – it would simply take too long. Despite this, the Galileo mission was a success, and gathered data at Jupiter for eight years. The last spacecraft to visit Jupiter before Juno was New Horizons in February 2007. This probe, which went on to be the first ever spacecraft to visit Pluto, used the gravitational pull of Jupiter to accelerate further into the outer solar system, reaching its intended destination in July 2015. This technique, of using the gravity of planets to accelerate spacecraft to faster velocities is know as ‘gravity assist’. This is a great way to save fuel, and thus on launch cost. 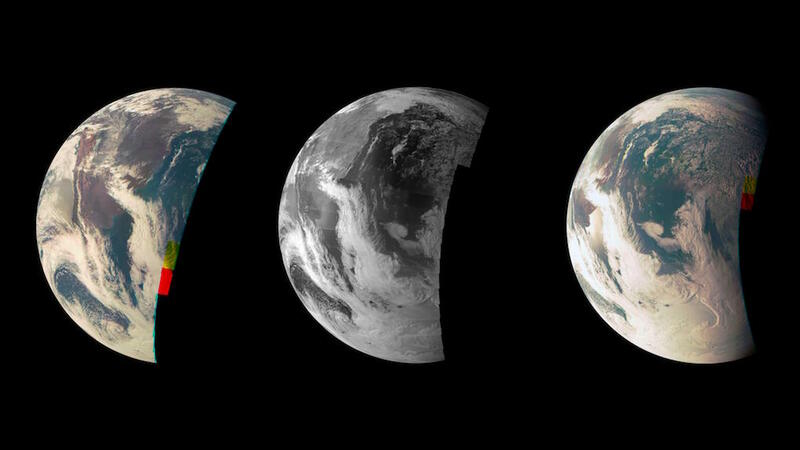 The one downside, perhaps, is that doing flybys takes longer than a straight trajectory, but on the upside, we are treated to images and observations of the planets that the spacecraft swings by, providing the opportunity for us to glimpse long-term changes in the atmosphere, for example. The Juno spacecraft also used gravity assist, swinging by Earth in October of 2013, slinging it towards Jupiter. One cannot write about exploration of the outer solar system without mentioning the two Voyager spacecraft – two legendary vehicles. These identical probes, launched in 1977, explored Jupiter, Saturn, Uranus, and Neptune in greater detail than ever, providing a paradigm change in our understanding of these systems. 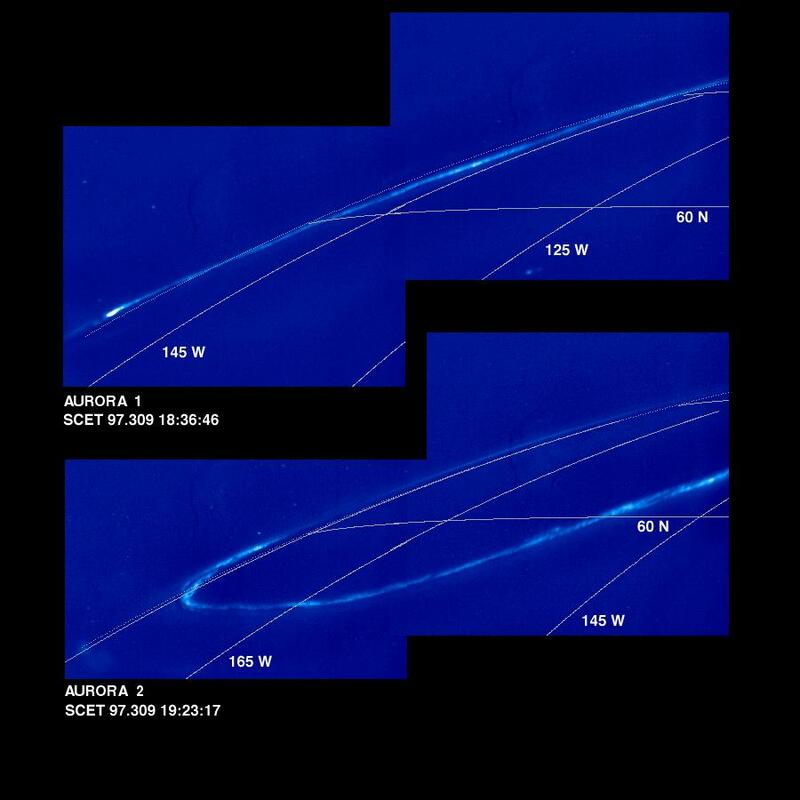 These mission provided us with the first detailed views of these planets, and remains the only spacecraft flyby data we have for both Uranus and Neptune. They swung by Jupiter in March and July of 1979. Below is a really lovely documentary from the early 1980s about these two missions – well worth checking out!